An American friend of mine (Matthew – he’s on weibo, at @damaxiu) recently posted an interesting analysis of behaviour in McDonalds in Tianjin. Several downtown branches had initiated a new system, where customers ordered at the cashier counter, took a ticket, and had to wait to the side, in front of a pick-up counter, waiting for their ticket number to come up on a screen. A Golden Age of Sino-UK relations? International summits are funny beasts. Can you remember the last important policy that came from one? Me neither. And yet they are important in giving leaders space to talk, to build relationships and to demonstrate good will. Face time is always important in what is, after all, a field dependent on personality. Host nations also have a chance to show their ability to manage the show, as they strive to bring together resolutions that will serve as their legacy. The world is a much smaller place and carve-ups on the scale of the Concert of Vienna are no long possible, but with proximity everything is much more tightly linked, so problems can be sorted out (or pile up) so much more quickly. The Hangzhou G20, then, is China’s chance to shine, another opportunity to claim the world’s attention. And while the present summit might lack the urgency of the 2009 G20 in London (just six months after the collapse of Lehman Brothers), President Xi Jinping is clearly aiming to use the hosting of the summit to reinvigorate world trade (and thereby, of course, China’s own economy). This in fact suits most of the participants, who also find their economies sluggish (France, Italy, Japan) or downright bad (Brazil, Russia, Argentina). But the UK presents a particular, special case: following Brexit, all seems to be up in the air, though one avowed goal of Brexiteers is increasing trade with the fast growing Asian nations. So Theresa May and Xi Jinping have much to discuss. Although the British government under David Cameron and George Osborne declared a new golden age for Sino-British relations, the signs for May’s administration have not been so promising. One of the first decisions she took was to review the Hinkley Point nuclear power station, which was to be jointly funded by French and Chinese investment. However, subsequent statements by both May and Chancellor Philip Hammond have stressed Britain’s commitment to free trade. The idea seemed to be that, without the European Union’s inward-looking tariffs and regulations, the UK would be free once again to trade with the world, a global entrepôt like a larger Singapore. G20 summits, with their need to accommodate very different economies, can tend to lead to nebulous pronouncements rather than drives for concerted action. Yet as the first major summit hosted by China and the first major summit attended by post-Brexit Britain, both countries will be looking to make a statement. The UK’s task is easier: simply, to demonstrate openness to trade and a commitment to deregulation. Xi’s task, as the host, is much larger: to develop a coherent, and concrete, plan for economic development, beyond platitudes and aspirations. What might he pledge for China? Reform of China’s moribund state owned enterprises, for one; renewed efforts on the One Belt, One Road plan; mutual development in the South China Sea; perhaps allowing greater foreign ownership of Chinese industries (it is difficult to complain about being denied this in Hinkley Point when such things are far from even being contemplated in China). Xi will need to be seen to reform the Chinese economy before he can cajole others to revive theirs. No doubt most of this has already been considered, as the signing of the Paris Agreements obviously were. Highly choreographed and worked through ahead of the event, summits rarely develop their own momentum. They are usually expressions of the domestic anxieties and wishes of the participants, rather than coming together to make a coherent plan. Often it is the staging and “optics” rather than the policy outcomes that contribute to a summit being declared a success. But President Xi’s drive to revive world trade looks genuinely resolute. With China the engine of so much of the world’s economic growth over the past ten years, it now needs a perkier world economy to maintain growth. The UK, meanwhile, needs to show it can flourish outside of the EU. Both countries need each other more than ever. Now there may be a real golden era in the two nations’ relations. Artistic areas in cities usually develop organically. When you read about New York’s Village and London’s Hoxton and Camden, what usually attracted the bohemian types there were the relative cheapness of the rent and centrality, artists being usually both poor and inquisitive, event-attending types. The subsequent funky little coffee shops, bars, galleries and shops spring up organically to cater to this most discerning of cultural segments. What happens next is that, these areas now being fashionable, middle- and upper-class trendies move in about, buying into what they can’t themselves create, which leads to rising rents, gentrification and bourgeoisification. The shops and cultural venues become classier and more expensive, but lose something of their original flair, or are bought out by chain stores. (For a vivid example, compare the once-bohemian Notting Hill area of London in the films Performance (1970) and Notting Hill (1999): a formerly run-down hippy haven is later home to middle class fashionables and up-and-coming types (and Julia Roberts)). Beijing, like many developing economies, prefers to jump straight to the most developed period when building something. Why have dial-up if you can go directly to broadband? 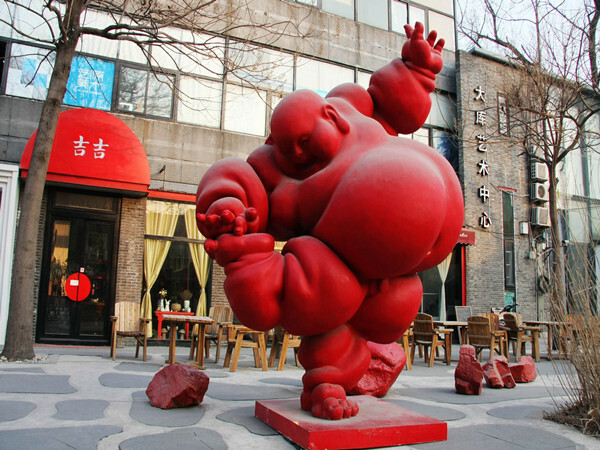 Thus, the 798 artistic area in north-east Beijing has a plethora of stylish bars, cafes, galleries, workshops and performance areas, bookshops and boutiques. The coffee shops are nice to look at, with pictures on the wall and books adorning the wall, but typically overpriced; the boutiques are stylishly up-market; the bookshops are clean-cut and pleasantly artistic rather than radical and bohemian. Built in a former industrial area, the cultural implications – that this area now produces art, values, meaning, where it once made products, things – are readily apparent: a clear case of post-modernity. Also, the layout, gated off from the surrounding neighborhood, gives a sense of 798 being somewhat cut off from the rest of the community, which further adds to the sterile homogeneity. The planned, pre-fab nature of the whole area leaves it lacking the organic, market-led basis of genuine cultural enclaves. Like the near-empty designer shops which litter cities throughout China, the belief is: Build It, And They Will Come. But if Beijing wants a genuine artistic environment, its motto should be: Let A Hundred Flowers Bloom. What social media platforms are you on, and what are your handle(s) on them? I use Twitter and Facebook primarily. I’m @KaiserKuo on Twitter, and just Kaiser Kuo on Facebook. I have a Sina Weibo account, @Kaiser, but it’s fallen into disuse, mainly because my written Chinese is shamefully inelegant and childish, and it takes so much longer for me both to read and to write in Chinese. What do you get from each of these platforms? Which do you most heavily use? I spend more time on Twitter than on Facebook. For me, Twitter is mainly a source of breaking news and of links to stories I’m interested in, and so I tend to follow news hounds and people who mainly link stories on subjects that interest me: chiefly current affairs in China and the US. I use Facebook mainly to keep up with what friends and family are up to, to post occasional musings and missives, and to promote things that I do like the Sinica Podcast and my band. Both Twitter and Facebook are also great for punctuating the day with a laugh. I subscribe to a few email digests of China news- most importantly, the daily digest from Bill Bishop’s Sinocism blog, which is a real treasure with links to both important English and Chinese-language news stories – but for other news I still look at major media sites: the New York Times, the Wall Street Journal, the Economist and so forth. I also enjoy news podcasts during my morning commute, like Public Radio International’s “The World.” Twitter is another important source of news. During the course of the day I’ll glance at what stories are being tweeted by the people I follow, and through Twitter I find at least a half-dozen worthwhile reads a day that I might not otherwise have seen. How much time would you say you spend on social media daily? Is it worth it? I would say I spend no more than 90 minutes a day actively engaged with social media on a normal day. I tend to dip in for quick scans rather than hang out for extended stretches. On days when there’s breaking news in some area of real concern to me, either personally or professionally, I can spend far longer on it. How do you organize everything? What software do you use? I’m a big fan of Hootsuite, a social media client that lets you post to Twitter, Facebook, and other social networks. Posting pictures or shrinking links is also very convenient. You can set up columns specifically to show mentions of you, direct messages to you, your general Twitter feed, specific lists you follow, sent tweets, or even just tweets containing a specific hashtag (such as #beijingfloods) or search term. I lean pretty heavily on a list I created called “China Folks,” which has roughly 500 good people who tend to tweet on China-related subjects. I update the list pretty frequently, dropping and adding people as they come and go. How would you compare weibo and Western social media? Just comparing Sina Weibo (the only one of the Chinese microblogs with which I have experience) with Twitter, I’d say the Weibo is more feature-rich, more intuitive, more powerful, and far more stable. Chinese websites are designed and built for ridiculous amounts of traffic, and I have yet to see Weibo crash, as Twitter so often does. Twitter isn’t as harmonious, of course, and I’m one who likes a bit of dissonance. 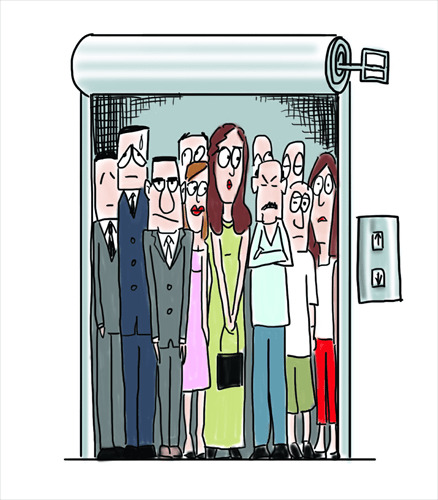 Has being on social media been beneficial to your life or career in Beijing? It’s been good, on balance, for both my life and career. It keeps me feeling connected to friends and professional contacts, however illusory that feeling may in fact be. It helps me stay atop the online buzz on my company – something very necessary in my line of work. That’s not to say social media isn’t without its downside: it can make me overreact to news events and get somewhat obsessive in watching things unfold with each refresh. It can make me seethe occasionally with an impotent indignation that’s surely no good for my health. Which accounts do you most recommend people to follow? In China, on Twitter, just off the top of my head and sticking with people who tweet in mostly in English, I’d suggest people like @niubi (Bill Bishop), @goldkorn (Jeremy Goldkorn), @gadyepstein, @imagethief (Will Moss), @granitestudio (Jeremiah Jenne), @bokane (Brendan O’Kane), @eosnos (Evan Osnos), @ChinaGeeks (Charlie Custer), @China-Hearsay (Stan Abrams), @cmphku (China Media Project), @siweiluozi (Joshua Rosenzweig), @tomlasseter, @malcolmmoore, @comradewong (Edward Wong), and @RelevantOrgans (some sidesplittingly funny tweets). Will social media supplant journalism, take it someplace new or just be a supplement? It won’t supplant journalism, I don’t think. Social media is already a clearly useful if not indispensable supplement to journalism, and as such is already taking it someplace new and – though it may make for rough going for media companies and even journalists in the near term – someplace better. As one of if not the foremost China watchers on the scene today, Bill Bishop (perhaps better known as @niubi) has been a vital part of the social media ecosystem for some time, through his blogs Sinocism and Digicha, his use of Twitter and Sina Weibo, and his daily email posting and analyzing China-related links and news. With his highly influential social media use, he not only shares the news but makes it too. He shared with Agenda how he handles it all. I am @niubi on Twitter and @billbishop on Sina Weibo. I was an early user of Twitter and had no expectation it would become so big, hence the “smartass” handle. Unfortunately all variants of Bill Bishop are now taken, as I would much prefer to use my real name. What do you get from each of these platforms? Twitter is one of my primary sources for following news. Weibo has a similar function for me, and I find that the ongoing discussion on Sina Weibo tends to be more interesting and extended than on Twitter. I also use Sina Weibo to help promote my partner’s cake shop, @ccsweets 创意蛋糕. Weibo can be an incredibly effective marketing and communication tool. I have used an RSS feed reader for probably close to a decade. Over those years I have built up a list of several hundred English and Chinese feeds that I think are interesting. I usually start my news browsing in the feed reader, then go onto Twitter and weibo, then browse a few websites. I also use filters and alerts, as there is too much information out there, but even with those I think I am still drowning in information overload. Much of my usage is on mobile devices, especially when stuck in traffic. I’d say I probably spend about 90 minutes on weibo and Twitter, though if something big is happening in China, weibo is the place to watch it. So for example I was up all night watching the escape to the Chengdu consulate unfold. Pinboard.in has been a lifesaver. I use it to save things I think are interesting, and it allows you to tag items as you see fit. I then use a WordPress plugin to automatically pull my tagged Pinboard items into the daily China Readings Post I publish at sinocism.com. How would you compare Sina Weibo and Western social media? Weibo has a much richer feature set that allows much deeper conversation and much broader dissemination of information than does Twitter. The way you can retweet and comment on individual weibos means that each one can become a node in a much bigger conversation, as opposed to the ephemeral, “miss it and it’s gone” nature of Twitter. Weibo also exists in a much different political-information environment, one in which many people do not believe official sources and so are much more willing to believe what they see on weibo. I am not actually sure. It has certainly helped CCSweets, but it did not help my video game business, and so far all the blogging, tweeting and weiboing I do is gratis. It should supplement it and improve it. The old days of a handful of editors determining the news agenda, especially about China, are gone. That is a good thing, except perhaps for those editors and their bosses. But the challenge for consumers is to figure out who to trust, and I think a social network like Twitter can help with that as if you are an idiot the community will figure it out fairly quickly. I have noticed that more and more of the China-based western journalists are using Twitter. Many seem to have resisted at first, but now they, and I think all journalists in general, realize that they need to build a personal brand beyond the news organization for which they report. 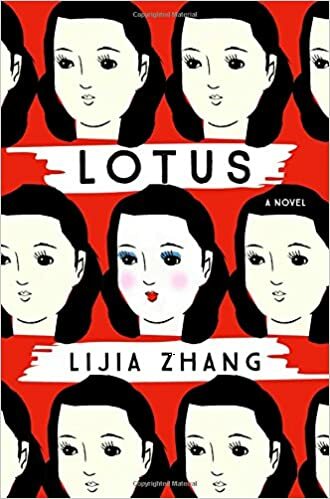 My review of the novel Lotus by Lijia Zhang has just been published by the South China Morning Post. Go check it out. There’s also a discussion of the review (well, the start of one, anyone) on the China Book Club subreddit.